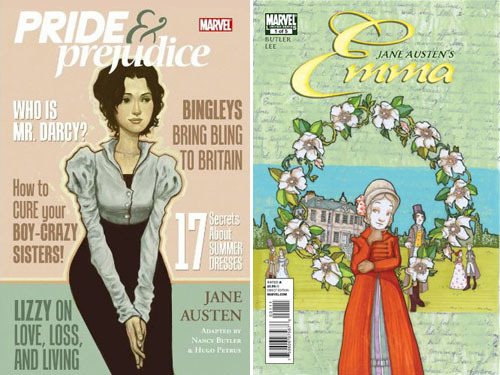 i was at the comic book store with my friends Aprille and Joel when I found Jane Austen Marvel comics! I got all five issues of Sense and Sensibility. I love that Marvel did this. There is also Pride and Prejudice and Emma. So cool! Gah! 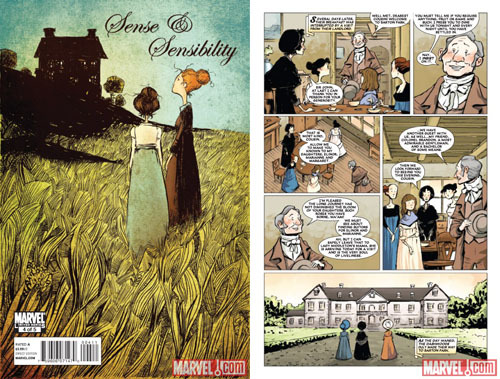 This combines two of my favorite things: Austen and comic books. How was I unaware of these? All these titles are (or will be) available in hardcover and trade paperback. Just in case you can't find individual issues.